The dress from the Fontana sisters, worn by the famous actress Ava Gardner, dresses of Cate Blanchett, Elizabeth Hurley and Jennifer Lopez from the red carpet of Oscars and Music Awards - all these costumes with their own history, created by the Italian coach, can be seen at the exhibition entitled "60 years Made in Italy ", opened in the State Art Museum of Uzbekistan. The dress from the Fontana sisters, worn by the famous actress Ava Gardner, dresses of Cate Blanchett, Elizabeth Hurley and Jennifer Lopez from the red carpet of Oscars and Music Awards - all these costumes with their own history, created by the Italian coach, can be seen at the exhibition entitled "60 years Made in Italy ", opened in the State Art Museum of Uzbekistan. 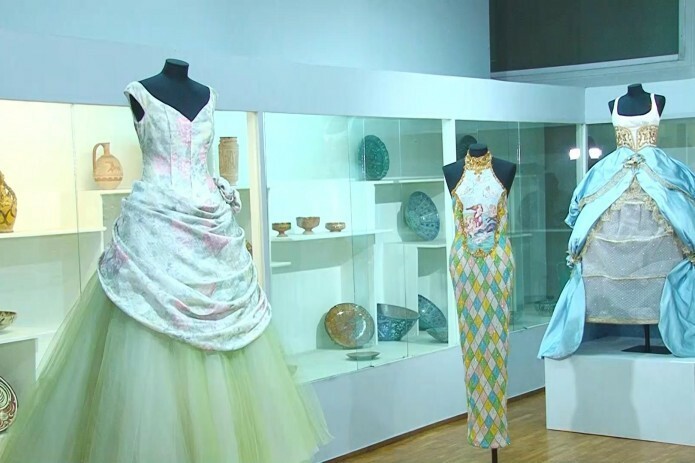 The event is organized within the framework of the Tashkent Fashion Week in honor of the 25th anniversary of the establishment of diplomatic relations between Italy and Uzbekistan. According to organizers, the exhibition presents nearly 100 models created by famous Italian designers. It is not an easy task to bring so many valuable costumes, as preparations for such a large-scale event were held throughout the year. Uzbek fashion today has a large number of fans from around the world, and Italy is no exception. Even famous designers, as Emilio Pucci or Roberto Cavalli use Uzbek national fabrics such as adras and atlas in their collections. There is also no doubt that among the Uzbeks there is a large number of fans of the Italian fashion. Why exactly 60 years, according to curator of the exhibition Alessia Toth: "High Italian fashion was born exactly in the 50s of the last century. Later the fashion passed into pret-a-port, that is, into a more industrial sector. This exhibition tells the history of Italian fashion from the moment of its birth until today ". The exhibition will last until January 15, 2018.